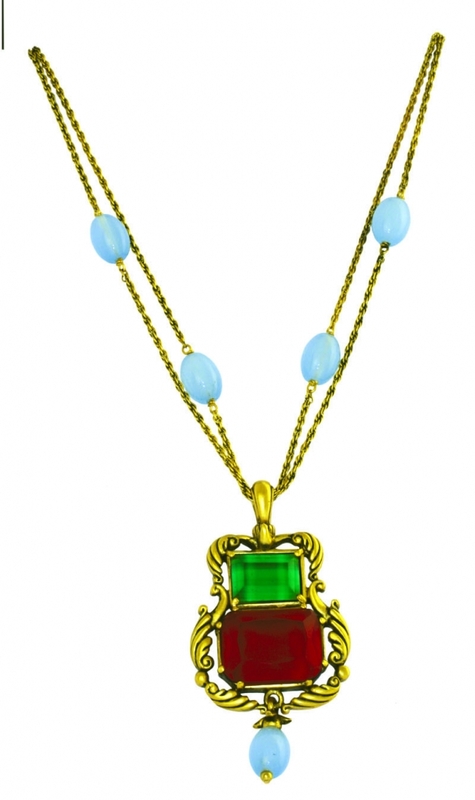 V&A Jewellery - 16th Century English Jewelled Pendant: The original piece was set with a garnet and peridot and hung with a sapphire: around the stones were inscribed an invocation to God and some words thought to ward off illness. 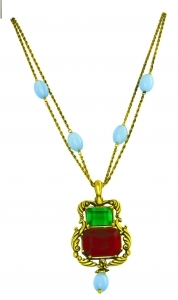 This modern version is a green and red jewelled pendant with a gold-plated chain and blue beads. This piece is inspired from an object in The Victoria and Albert Museum, London.